We've been covering the OUYA since its original debut as an ambitious idea on Kickstarter in July. Within a month, the campaign had raised an astounding $8.6 million. We've also heard that OUYA is partnering with Square Enix, will include OnLive support, and a whole lot more (thanks to Founder Julie Uhrman's AMA on Reddit). After a brief pause in OUYA news, Uhrman recently published a post to the official OUYA blog, giving readers a "full update" on the project. The post, titled "the train keeps on rolling," explains just about everything from details surrounding the status of manufacturing, to developer relations, to plans for the fit and finish of the final product. According to the post, the OUYA team's inbox is "packed full" of emails from developers eager to bring their games to the device, whether they are finished products, works in progress, or just dreams. The team boasts that pre-orders continue to roll in, making a "perfect marriage" between a large audience and a large army of developers bringing quality gaming experiences to the platform. Developers, according to the post, should expect SDK access some time in December. The post goes on to explain that the manufacturing and supply ducks are all in a row, and that the team is working with their design-manufacturing team to finalize circuit board layout and the CMF or Colors, Material, and Finish of the device. Muffi and I just got back from Taiwan and Hong Kong. 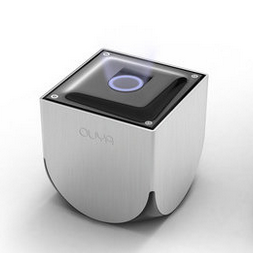 We met with manufacturers and suppliers — all eager to bring OUYA to the world. We’ve decided on our design-manufacturing team, and we couldn’t be happier. We’re now finalizing our circuit-board layout, overall design, and what’s referred to as the “CMF” – colors, materials and finish. The team, in collaboration with Yves and fuseproject, is also addressing user interface, striving to make "game discovery – as well as the overall OUYA experience – something simple, new, and beautiful." The software development team is reportedly expanding as well. Next on the agenda is prototype production and testing. In the post, Uhrman also advises Kickstarter backers that they'll be receiving a survey including username reservation before the end of the month. Overall, it sounds like the team at OUYA is indeed busy, and working hard to ensure that OUYA's launch is a success. Uhrman predicts that launch is right on schedule, and OUYA's manufacturing is set to meet and exceed pre-orders. To see the full post, just head over to OUYA's blog, linked below.